(Conversation) – Visiting the Institut Curie in Paris recently got me thinking about the distinct lack of famous female Nobel Prize winners in science (Marie Curie excepted). The world rightly celebrated the incredible life and achievements of Stephen Hawking when he died last month. Yet the recent 60th anniversary of another brilliant scientist who also didn’t win a Nobel Prize but who happened to be a woman passed pretty much unnoticed. Rosalind Franklin died on April 16th 1958 at the tender age of 37, but packed at least two lifetime’s worth of high quality science into her career. In the years since her death, she has won recognition among scientists for her research on the molecular structure of coal, viruses and, most notably, DNA. But wider fame has remained elusive. 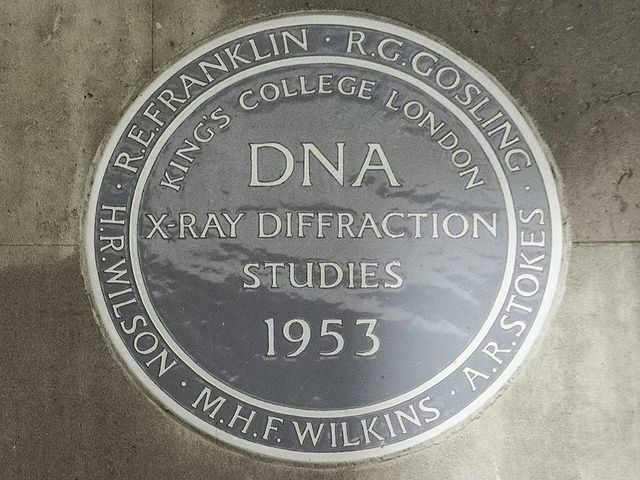 Her X-ray diffraction images of DNA enabled the University of Cambridge’s Francis Crick and James Watson to identify the molecule’s double helix structure, which they wrote about in a paper published 65 years ago on April 25th 1953. Yet only Crick, Watson and Franklin’s colleague Maurice Wilkins received the Nobel Prize for Physiology or Medicine in 1962 for the discovery. What ultimately disqualified her from receiving the Nobel was her death four years earlier, as Nobels can only go to people who are alive to collect them. But I believe that even if Franklin had lived, the Nobel Committee would still have given the prize to Crick, Watson and Wilkins.Hawking never received a Nobel Prize primarily because his seminal discovery in 1974 that black holes can emit radiation was entirely theoretical, and the Nobel Committee tends to favour experimentalists over theorists. In contrast, Franklin’s work could never be accused of lacking experimental rigour. Indeed, her insistence on robust and carefully collected data at the expense of building scientific models perhaps undermined her chances of receiving the title of discoverer of “the secret of life”. However, the Nobel Committee chose to honour Crick and Watson for their theoretical model. For a start, history was against her. The last woman scientist to receive a Nobel before this point had been Gerty Cori in 1947 and she was only the third, following Curie and her daughter Irene. Though more women scientists did win the prize later on in the 1960s, the prevailing mood of the day still discriminated against women. Even in 1974, the Northern Irish scientist who discovered radio pulsars, Jocelyn Bell Burnell, was overlooked for the Nobel Prize for Physics in favour of her male supervisor. Franklin experienced the sexism of science firsthand. She graduated from the University of Cambridge in 1941 when women were still not recognised as full members of the university or entitled to a degree award. She also had to protest against lower pay compared to her male colleagues and her lack of promotion even when she was publishing work in the top scientific journals. The power politics of professional rivalries and alliances were also in play. The key image that revealed the double helix structure of DNA, known as “Photograph 51”, was taken by Franklin and her PhD student Raymond Gosling at King’s College London in May 1952. Her King’s colleague Maurice Wilkins then showed this iconic image to Watson at Cambridge without Franklin’s knowledge or consent. Watson and Crick also gained access to a King’s report that Franklin had helped prepare, which contained extra experimental information that Crick crucially recognised as the final piece of the puzzle. The fact that Franklin moved from King’s to the less well regarded Birkbeck College in 1953 probably didn’t help her cause either. Despite all this, I have no doubt that if Franklin had lived she would eventually have become the second British woman to win a Nobel Prize in 1982 for her research on viruses and protein-nucleic crystal structures. In her absence, the prize for chemistry went to Aaron Klug, her mentee who did so much to restore her reputation in the years after her death. Aside from her work on DNA, Franklin demonstrated that the related molecule RNA was shaped in a single strand rather than a double helix. She also proved through her elegant X-ray crystallography that the proteins of the tobacco mosaic virus formed a spiral hollow tube with RNA wrapped around it. Ironically, this confirmed the spiral tube hypothesis that James Watson had put forward in the early 1950s. This elegant work was a forerunner to research on the polio virus, which Klug completed after her death and published in her memory. This report prepared by Mark Lawler, Chair in Translational Cancer Genomics, Queen’s University Belfast for The Conversation.